I met Andrea from Happiness Is Inc. last year around the holidays. She -- and her grandfather Gordon -- had just launched their new casual clothing company, designed to inspire joy and happiness. With roots on Canadian soil, they then launched their Canada Collection, based on Gordon's deep love for his country. Sadly Gordon passed away in April 2017, but Andrea continues to grow Happiness Is Inc. and their product line. There are a few reasons why I'm happy to promote this company, especially at the holidays. It's Canadian. I really love supporting Canadian, and local at that. The clothing is simple, and super sweet. I still get compliments all the time on my "Happiness is Canada" tee, every time I wear it. It's a feel good company. Andrea and her grandfather believed that happiness is contagious, and I have to agree. When people are happy and have good energy, others feel it. It's like the Disney effect -- there's a reason why it's the happiest place on earth. No joke. 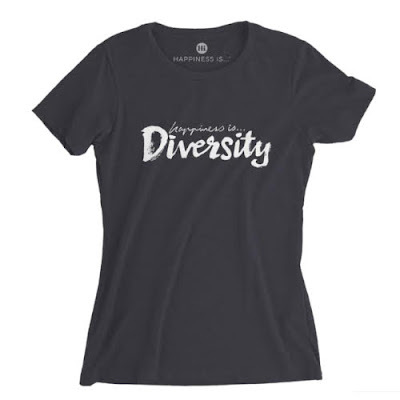 This year, Happiness Is Inc has added a new addition to the family -- the Values Collection. There are four brand new designs to reflect core values that makes the company Canadian -- Peace on Earth, Family, Tolerance and Diversity. The sweatshirts ($99.99) are cozy and soft, perfect for lounging. The crew neckline is flattering and not too high that it's choking. 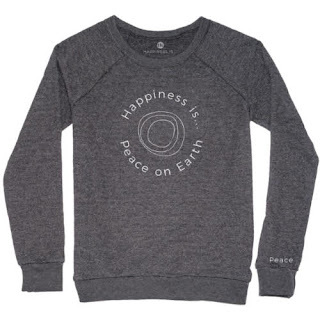 Last I checked the Peace on Earth was already sold out, but there were still sizes of Family available online. I love that this sweatshirt tells a story, sends a message and supports our Canadian economy. If tees are more your style, there are two tees in the Value Collection -- Diversity and Tolerance. 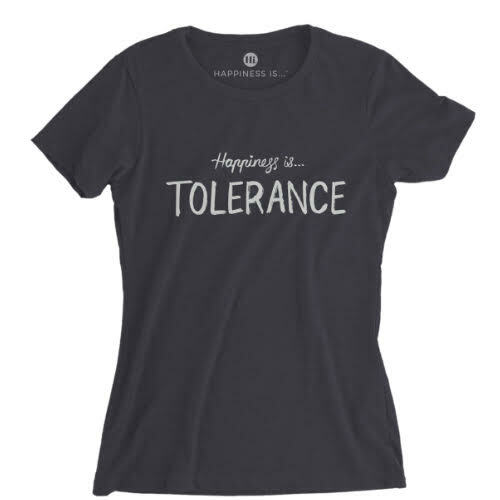 The t-shirts are in the same premium easy-care and oh-so-cozy cotton as my original Happiness Is tee. And after a year of year, I can tell you, it still looks great. Another fun fact, 10% of the sales of these tees goes to the Trans Canada Trail, a not-for-profit group working to create The Great Trail, the largest walking trail across Canada. Value T-shirts are $39.95. For more information on Happiness Is Inc., you can visit them online. Why not spread some happiness this holiday?